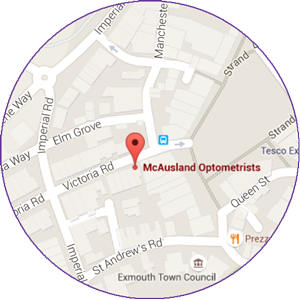 At McAusland Optometrists we are committed to the highest privacy standards. However you choose to interact with us, we will only collect data that is necessary for us to deliver a high level of service and ensure you are reminded about appointments or anything else relevant to your ongoing care. This policy provides detailed information on when and why we collect your personal information, how we use it and the very limited conditions under which we may disclose it to others. In addition to your basic contact information (name, date of birth, telephone numbers and addresses) we will collect other relevant details including current and past health and medication information, your examination results, payment details and lifestyle information. We may also store associated information received from other health care professionals as part of your ongoing care. The information we collect about you is used to ensure we provide you with the most appropriate products and services. In addition to your ongoing eye care, we will remind you when appointments are due and suggest relevant products or services that we believe would be of interest. We use your contact information to respond to queries from you, and where appropriate your bank details to collect Direct Debit payments as agreed. We may occasionally contact you to ask for your feedback on services we have provided and to offer you the opportunity to trial new products or attend local events. To provide and manage our services, your data is stored and processed by Optix Software Ltd within their UK facilities that are certified to ISO27001. If we collect Direct Debits from you these payments will be processed by Eyecare Payments Ltd. The aforementioned third-party companies are only permitted to process your data for the specified purposes and in accordance with our instructions. We retain your information for as long as reasonably necessary to provide our products and services and to maintain records to satisfy clinico-legal requirements. Where necessary we may disclose your information to health care professionals including the NHS. We may also pass information to external agencies and organisations, such as the police, for the prevention and detection of fraud and criminal activity. Should any claim be made, we may pass your personal information to our insurers and if our business is wholly or partially transferred to a third party, your personal information may be one of the transferred assets. You are entitled to access the personal information that we hold on you; any such request should be made using our contact details below. If any data we hold is inaccurate, this will be corrected promptly on request. In certain circumstances you can request that we erase your data; we will comply with all such requests that do not prevent us meeting our legal and regulatory obligations.